Up near the border of Bhutan and the Manas National Park in the rain-shadow of the Himalayas, the Doomni Tea Estate in Assam has been developing and perfecting this exceptional white tea over the past few years. Its taste is both incredibly rich and delicate, with scents of rainforest canopy, moist evergreens, sweet citruses and exotic fruits, all melting in a sumptuous honey mouth-feel, like drinking hydromel. Each steeping gives a renewed experience. > See the complete description. 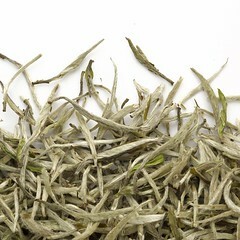 A worthy representative of the great teas of China, this white tea consisting purely of buds catches the eye at first sight. The lively and silky liquor fills the palate with fruity and vegetal fragrances (straw, mushroom). Long and delicate, its finish is flowery (chamomile) and refreshing. This box contains 30g of tea. 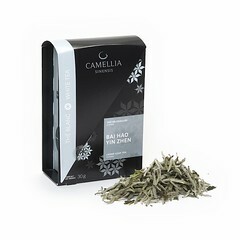 White tea composed of buds and leaves, a rich floral flavour with a hint of sweetness, and a surprising touch of cinnamon. This Bai Mu Dan is smooth yet full-flavoured. A good cup for everyday drinking. 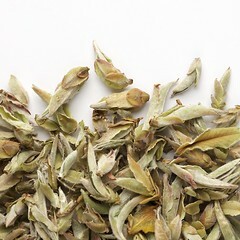 This white tea is the result of a unique combination of a harvest from assamica tea plants from Darjeeling, and the expertise of Mr Subba, manager of the garden. Silky buds offer a heady brew with fragrances of flowers and cocoa. Its brilliant light yellow liquid, finely tart, enhances its grassy character (dry straw, sorrel) with generous fruity notes. Subtle notes of malt and hazelnut support the finish of this substantial and complex tea. a Totally smooth experience! 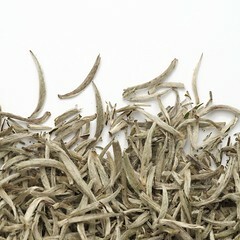 Worthy of the expertise of Mr He, this superb white tea is of uniform, smooth and fine buds. The infusion offers rich flavors of oats, fruit (ripe banana) and flowers, nuanced in the mouth by a peppery accent. Its rosy liquor is sweet, oily and full. Well balanced, it evolves to a minty and thirst quenching finish. To be savoured in tranquillity! 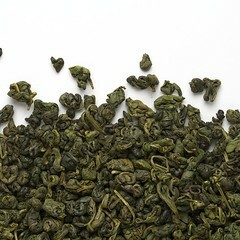 This lot is exclusive to our tea house and produced according to our specifications. Plucked from wild trees in Nan Mei Valley in the Lincang area, these young silvery buds promise an amazing experience for any tea lover. Fragrances of aromatic herbs (sage) and clementine emanate from the infusion and its liquor is sweet, silky and spicy, aroma characteristic of tea from wild tea trees. The lemony finish is most memorable! Spread across more than 2200 acres of the undulating hilly terrain of the Nilgiris, blended into the landscape between large areas of natural forest, the Korakundah estate is not only one of the largest and the highest tea gardens in the country (with tea planted at 2400m above sea level) but also one of the most beautiful tea gardens in the world. 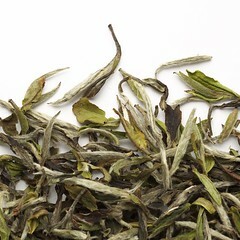 Showcasing fine silvery buds with scents of dried herbs, spices and melons, this white tea is another prime example of the sweet southern Indian cultivars. Expect a soft, zesty, thirst quenching liquor with a long lingering finish. Tea as we like them, both delicate and complex. 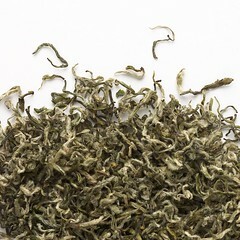 This yellow tea composed almost entirely of buds comes from Sichuan province. Its magnificent young shoots are selected before being covered with the fine hairs typical of that grade of imperial picking! Its light yellow liquor is sweet and tasty. Bold hazelnut aromas are complemented by hints of vanilla and herbs. The finish is supported by its creamy texture and sweet taste. In the tradition of great teas - preferably to be enjoyed in a Gaiwan in a careful ambiance! To learn more about this product, see this blog article. > See the complete description. Our producer of Wei Shan Mao Jian has revived the old memories of the region and offers us his yellow tea, recently returned to production after many years as the process had been all but lost and forgotten. Composed of a significant proportion of tufted buds, this lot has had a slight anaerobic oxidation in keeping with the tradition of the manufacture of this type of tea. The infusion releases vegetal (fiddleheads) and iodine aromas, evoking smoked mussels. Its light and veiled yellow liquor offers a firm texture complemented by delicious fruity (melon) and floral notes. Its finish is deep and pleasantly sweet! 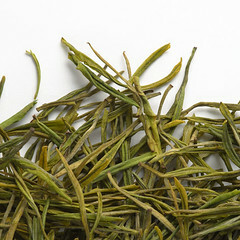 Anji Bai Cha is a treasure of refinement visible in the sight of its beautiful threadlike leaves, resembling pine needles. In the infusion they blossom to provide a liquor of a translucent jade hue. On the palate, sweet and tangy flavors are enhanced by vegetal notes (bok choy), gourmet (pine nuts, butter) and flowers. A tasty tea with a sublime and delicate finish. Rolled in the classic style of Long Jing, this is a beautiful creation from our producer of Huiming. 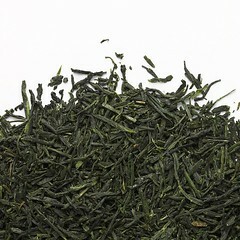 A delightful tender green colour, this tea, grown from the modern cultivar Bai Ye no.1, presents beautiful flat leaves. Sweet and full, the liquor is silky and fluid. 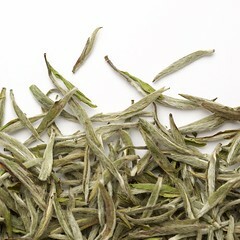 Its dominant vegetal character (bok choy) is vitalized by floral notes and a fine acidity reminiscent of green apple. A tea that asserts itself gently. 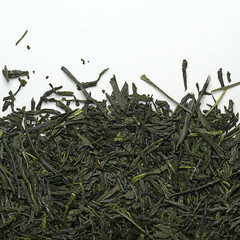 A flat-leaf Japanese green tea from the region of Shizuoka. Contains very little caffeine. Gives a sweet liquor with very little astrincency. A perfect introduction to Japanese tea. From an impressive imperial style plucking, the tiny young shoots of this tea from Guizhou offer an infusion of profound floral and vegetal aromas. The rosy and velvety liquor deploys pleasant nuances of fruit (cherry) and white chocolate with almonds. 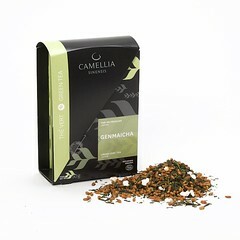 A rich and tasty tea with a lovely balance between body and finesse. Coming straight from a new garden project perched at 1,200 meters above sea level in eastern Guizhou, this tea harvested from 5-year-old seedlings of the Fuding Da Bai cultivar was grown without chemicals, as evidenced by the results of our laboratory tests in Shanghai. 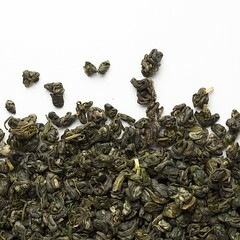 Its name (De Jian Long Zhu) refers to the young shoots strewn with buds rolled into small pearls that make up this everyday green tea. A bold and frankly vegetable liquor, evoking the taste of snow peas. Fruity and empyreumatic accents (smoked mussels) complete the tasting of this accessible, thirst quenching tea. 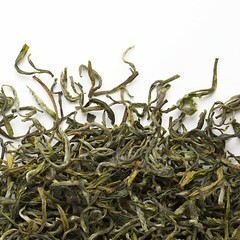 From Guizhou Province in China, this tea has a beautiful contrast of silver buds and dark green curled leaves. 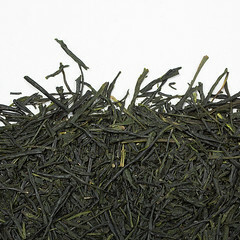 The infusion provides bold marine and vegetable (fried spinach) aromas. The liquor is light yellow, slightly cloudy, lively and sweet, complemented by pleasant fruity (melon) and vegetable accents. A strong and refreshing tea perfect for warm weather! This classic combination of Bancha and grilled rice. 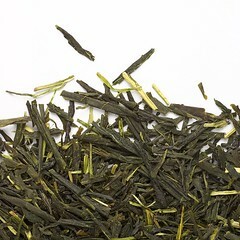 A gentle balance of grassy japanese tea and the natural sweetness of rice. Low in caffeine. This classic combination of Bancha and grilled rice. 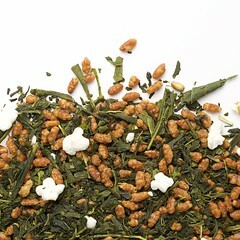 A gentle balance of grassy japanese tea and the natural sweetness of rice. 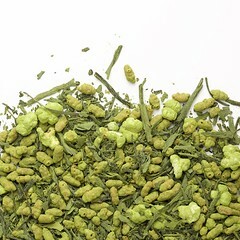 A delicate combination of Sencha and Matcha (powder tea)with grilled rice. A gentle balance of grassy japanese tea and the natural sweetness of rice. 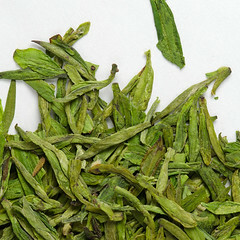 This popular tea has a simple fruity green tea flavor. Used traditionally in Moroccan mint tea. The Okabe farmers cooperative offers us this Gyokuro produced following the covered method of cultivation giving it its characteristic taste from shade. The soft green liquor is sweet, full, and imbued with intense hints of green vegetable (spinach) and berries. A mellow and textured tea for traditional style enthusiasts. 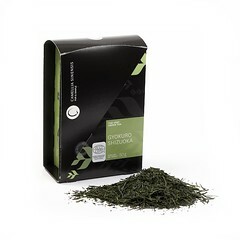 This multi award-winning Gyokuro is very representative of shade teas from the Uji region. Three weeks before the manual harvest, the tea bushes are covered and up to 85% of the sun’s rays are filtered out to help create what the Japanese refer to as the “taste of the shade”. 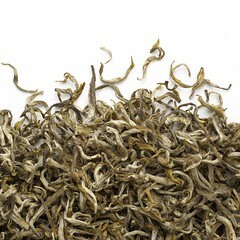 The result is a highly aromatic and complex tasting tea that contains very little tannins. The vegetal character evokes marine flavours of salt and iodine (fresh wakame seeweed) and green vegetable (spinach, swiss chard, and cooked celery) notes. The soft green liquor is bright and has a lingering delicate and herbaceous taste. Three weeks before hand harvesting, shade structures which filter out up to 90% of sunlight are placed over the tea to develop what is commonly called in Japan "the taste of the shadows" . 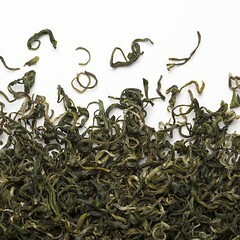 The result is a tea weak in tannins, highly complex and aromatic. 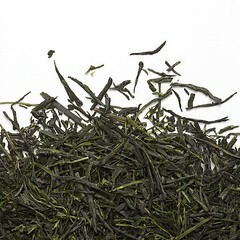 Extra smooth by virtue of its velvety texture and delicate fragrances of snow peas, water chestnuts and corn salad, this tea, with leaves of intense emerald green, will delight you with its finesse and depth. The quintessence of Japanese teas. 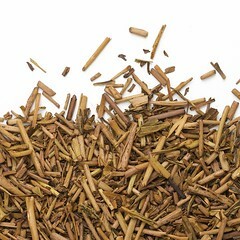 A well balanced blend of leaves and stems roasted to its characteristic ochre colour. Its crystal clear, brick-red liquor is smooth and silky, giving generous and comforting aromas of hardwood, toasted cereals and hazelnuts. Among the classics of Japan, this everyday tea is often offered after a meal. 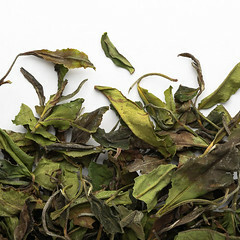 This classic and delicate green tea is made of small leaves and buds picked during the first thaw of spring, in the famous Huang Shan mountain range. Aroma of tender bamboo shoots and flowers. Flavour that is delicately woody unveils the subtle vegetal notes of fiddleheads. The rich liquor has a smooth, creamy, and slightly sweet finish. 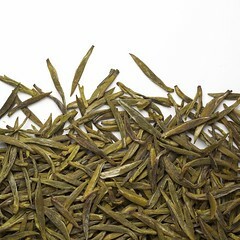 This tea from Zhejiang is produced by the master hand of Mr He, a dynamic and forward-thinking producer. 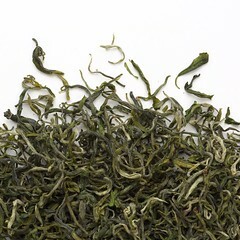 The curly leaves accompanied by generous buds release in infusion a tasty and oily liquor. Bright and lively, it deploys a powerful fragrance of spring flowers. Its fruity (peach) and grassy nuances support its long nebulous finish. A fine and balanced tea. From the legendary Yellow Mountains of Anhui in China, this tea has such delicate leaves which promise an exquisite experience! 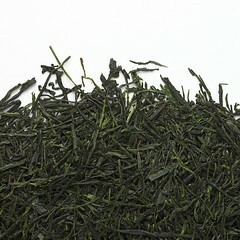 The soft and sweet liquor has a vegetal (cooked spinach) and herbaceous character akin to wheatgrass. Fruity and buttery nuances enrich the creamy texture of this classic and affordable tea. 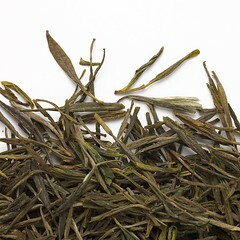 This green, shade grown tea, its unusual use of the cultivar (Saemidori) and its final drying (hiire), reflects a modern aesthetic, giving a fruity fragrance to the dry leaves. Its liquor is oily and flavorful (umami), dominated by its green chlorophyll and fresh butter notes. Its delicate floral (gardenia) accents harmoniously fuse with fruitier nuances. Enthusiasts take note! It is organic too. 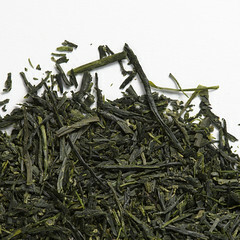 Grown and processed in the region of Uji in Japan, this 'shade-tea' is of great finesse. Shade structures which block up to 70% of the light are placed over the tea plants two weeks before harvest in order to soften the leaves and increase the chlorophyll concentration. 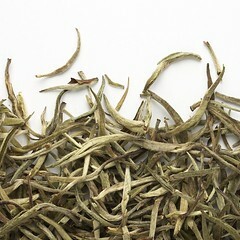 Its infusion, vegetal in character, is delicately sweet and velvety. Notes of spinach, peas and cashew blend leaving a persistent pleasantly marine aftertaste.